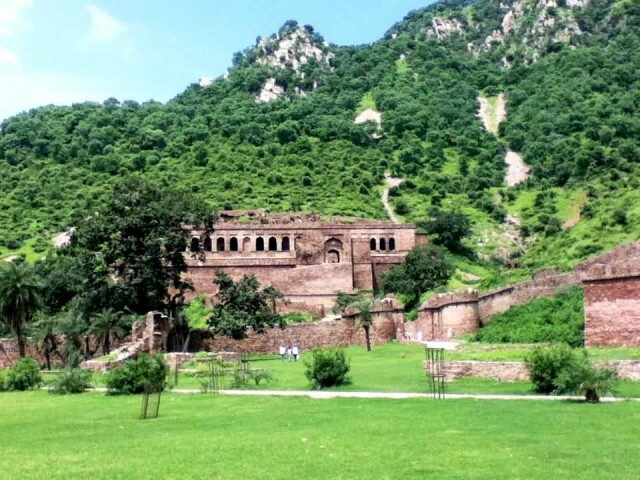 The Bhangarh Fort is a 17th-century fort built in Rajasthan, India. 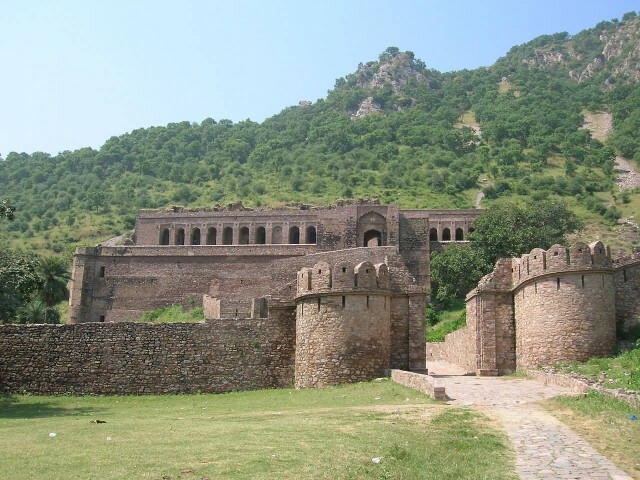 The Bhangarh Fort is located on the border of the Sariska Reserve in the Aravali range of hills in Alwar district of Rajasthan. 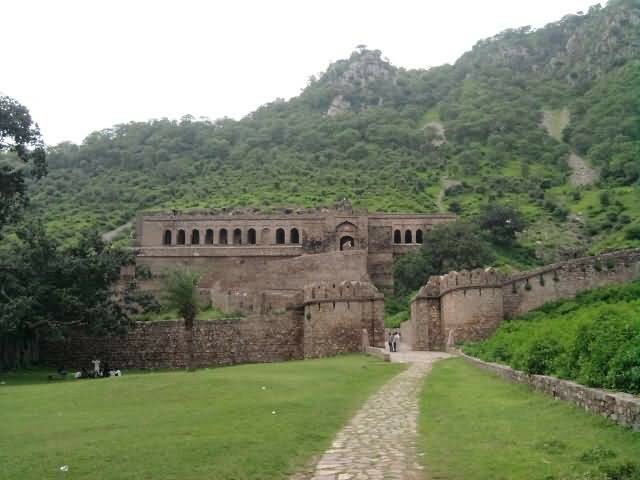 A new village of Bhangarh with a population of 1,306 in 200 households has developed outside the limits of the fort as there is fear of ghosts haunting the old city. In another version, Singhiya, the wizard who was adept in black magic fell in love with Ratnavati, the princess of Bhangarh who was very beautiful and had suitors to marry her from many royal families of the country. One day while the princess, 18 years of age, went shopping with her friends and was buying Ittar (scent). The wizard saw this and replaced the scent with some potion in order to ensnare the princess. He offered the potion to her so that she took a liking for him and marry him. However, the princess saw through the wizard’s trickery and when he offered her the bowl of potion, she threw it on a big boulder nearby and as a result the boulder started rolling down towards the wizard and crushed him. 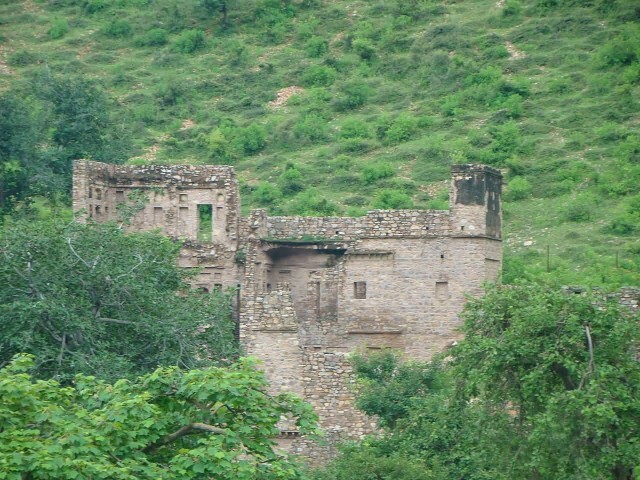 Before he died he cursed that Bhangarh would be destroyed soon and no one will be able to live within its precincts. After that all the people in the fort including the princess were killed. The present state of the fort is attributed to the curse of the wizard and people believe the ghosts in the fort are that of the princess and the wizard. 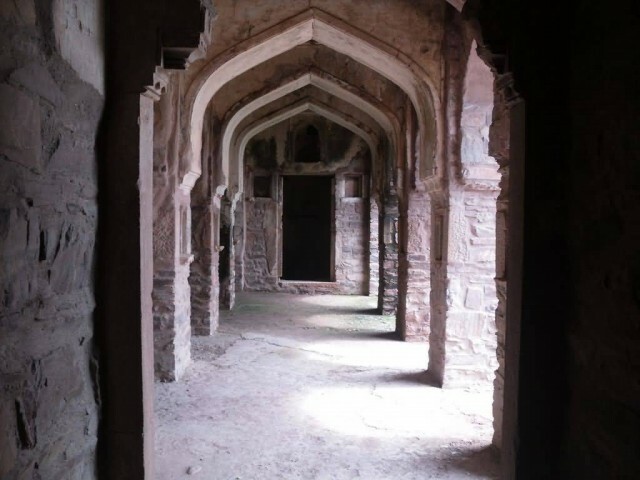 Since that day, it is believed that paranormal activities take place here during the nights. Some deaths have been reported due to these paranormal activities too.